Well, it looks like my white sea bass prediction last week came true… Well, sort of. 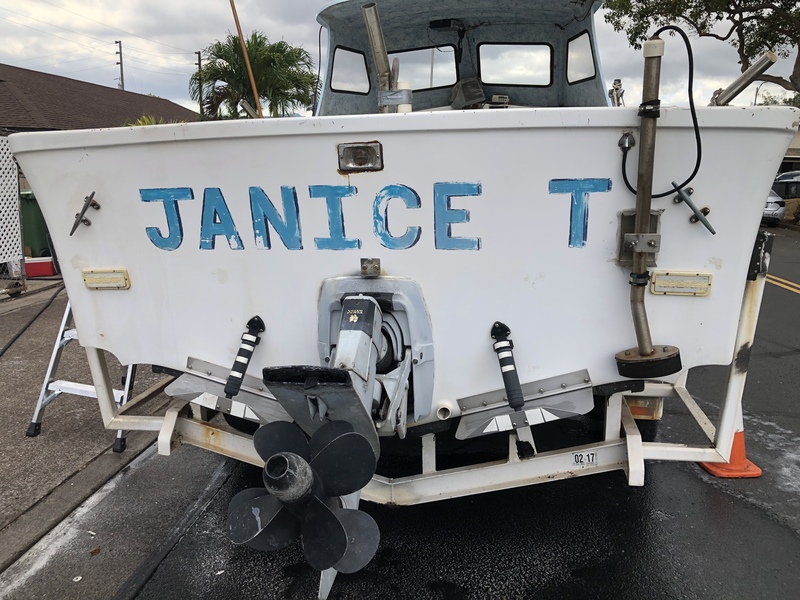 The Dreamer, out of Pierpoint Landing in Long Beach, California, caught a fish at Catalina and rumor has it that a couple of private boats connected as well. 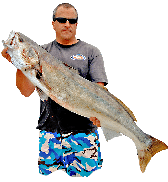 But that was the extent of the bite, if that even qualifies as a bite, and with some serious weather forecast to hit this weekend, it may be a while before anglers catch any more sea bass. Along the beach, there’s been some bass, halibut and small threshers biting, but it’s far from anything that can be considered consistent. The rockfish have been biting well in most areas and they should still be around once this storm blows through. So, if nothing else we’ll have that to fall back on once the weather clears. The Fred Hall Show came to Long Beach last week and I learned a few new things while I was there. The first thing was that the convention center charges $18 for a double Jack Daniels on the rocks. I always knew that their drinks were expensive, but that was absolutely ridiculous. Another thing I learned is that I’m not a kid anymore. 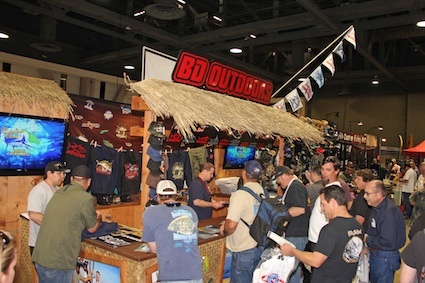 I spent the better part of the five-day show selling swimbaits and by Sunday night it felt as if someone had secretly replaced my spine with a rusty piece of rebar. My personal complaints aside, there were lots of cool things to see at the show. 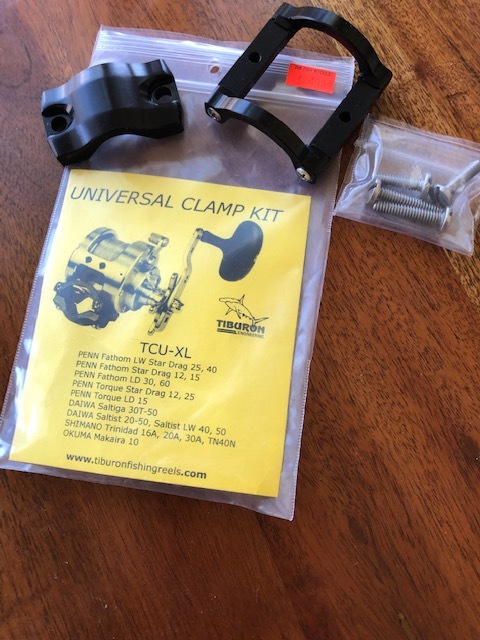 I might as well start with the product that was hyped as the “must see new product” of the show — the Shimano TranX. 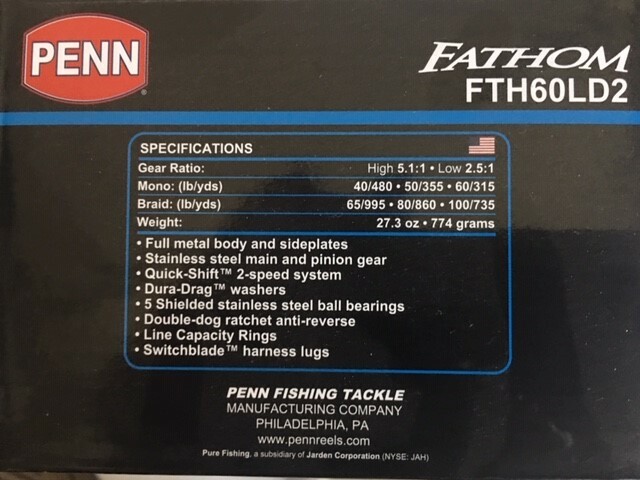 I found that it was bigger and heavier than I’d expected, but like most of Shimano’s top-shelf reels, it felt very smooth and strong, so I’m sure it’s well worth the $500 price tag. 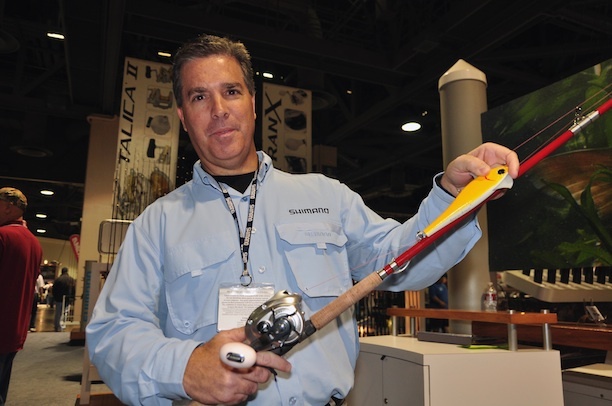 I spoke with Shimano pro-staffer John Kuch about the reel and he said that it was designed for fishing Shimano’s new Waxwing, the “Daddy” which is about the same size and weight as a surface iron. 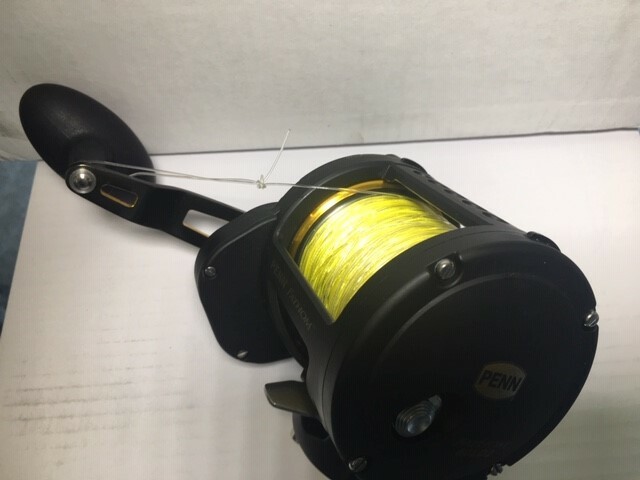 I’m sure that the reel will work great for that, but I’d imagine that I can fish the new Waxwing just fine with a $500 reel that I already own — like a Trinidad 16 Narrow. 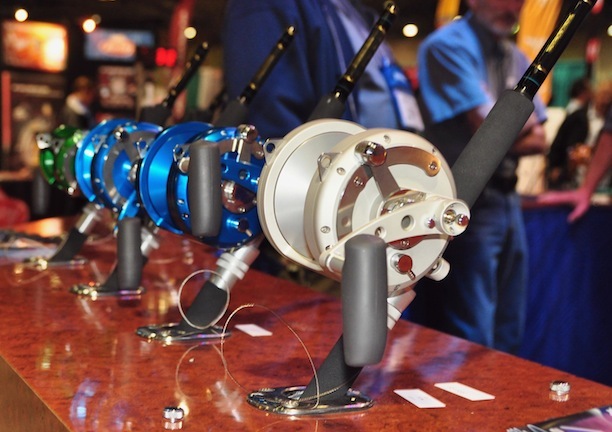 The other reel that made big news at the show was the AVET PRO EX 80/3. As far as I know, this is the only three-speed reel on the market and it’s really cool. 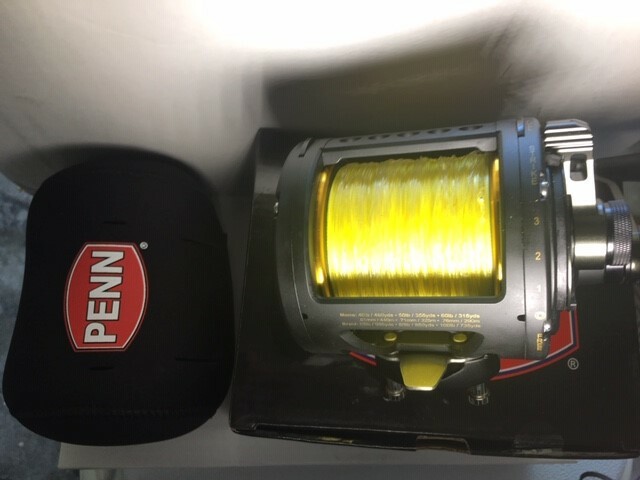 The 80-size reel, dubbed the Super Cow Special, has a shifting mechanism similar to AVET’s two-speed models, but features an extra gear. 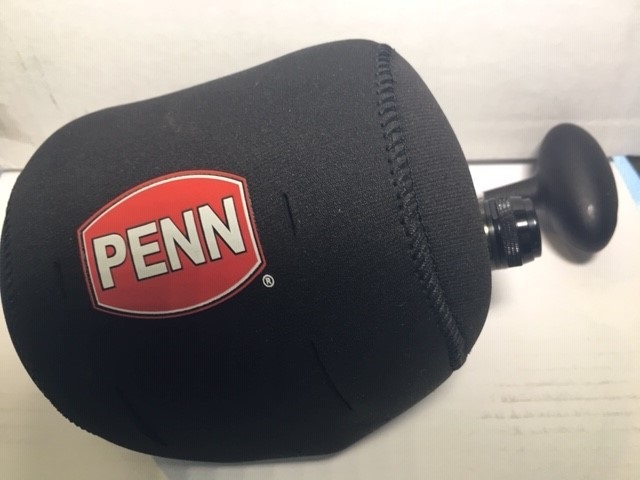 The reel offers a high gear of 3.2:1, a medium gear of 2:1 and the low gear is a powerful 1:1 ratio. 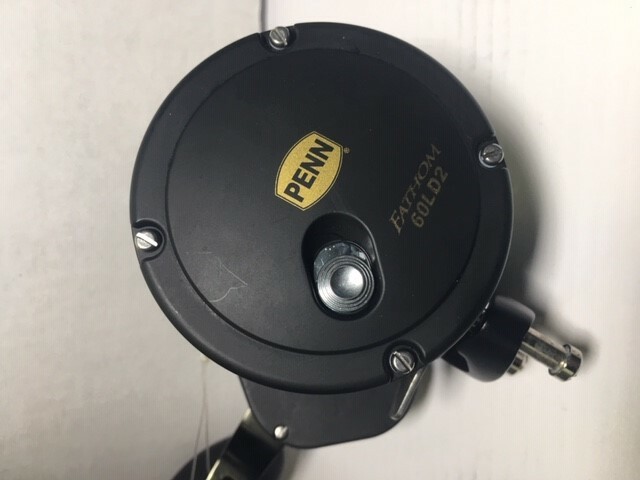 I played around with the reel and it was difficult to tell if I had the reel in medium or low as the button on the handle had some play in it. It’s definitely a cool concept but I can’t help but wonder if the reel’s size isn’t going to affect sales to long-range fishermen. Having the advantage of a 1:1 gear is nice, but spending all day at the rail hefting an 80-sized reel ain’t so nice. Last week I mentioned that I’d just picked up a pair of Costa Sunglasses and I was looking forward to visiting their booth at the show. They have 50 frame styles, each one offered in several colors, and three lens types that come in seven colors. I’m not sure just how many variations of sunglasses that makes, but 500 would probably be a safe bet. It was a little overwhelming. I talked to one of the reps about lens styles and colors for saltwater fishing and he recommended the 580P lenses in a green-mirror finish. 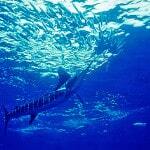 These lenses are designed for cutting water glare and allowing for “enhanced visual acuity” while fishing. I’m not exactly sure what “enhanced visual acuity” is, but the lenses are pretty easy on the eyes. For those who spend more time driving their boat than they do fishing, he recommended the same lenses in a blue-mirror finish. Apparently the blue lenses offer more contrast in full sun and cut the glare better than the green. I suggest trying on a few different styles of lens and see which one works best for you. Those are just a few of the highlights from Long Beach and there will be more to see at the Fred Hall Show at the Del Mar Fairgrounds March 22-25. If you missed Long Beach, head down to Del Mar and say hello to the BD guys and grab yourself some new BD shirts and hats, which will be discounted for the show.